An officer with the Camden County Police Department. An infant boy who was kidnapped by his babysitter was located safely Saturday afternoon by law enforcement officials. Nadajia Hill, 22, of Camden, was babysitting the 4-month-old boy on Friday at a home on 33rd Street in the city, when she allegedly decided to take him to Newark for the night, Camden County police said. The boy's mother attempted to contact Hill after trying to pick up her son but was unsuccessful. The infant was subsequently reported missing to authorities, police said. 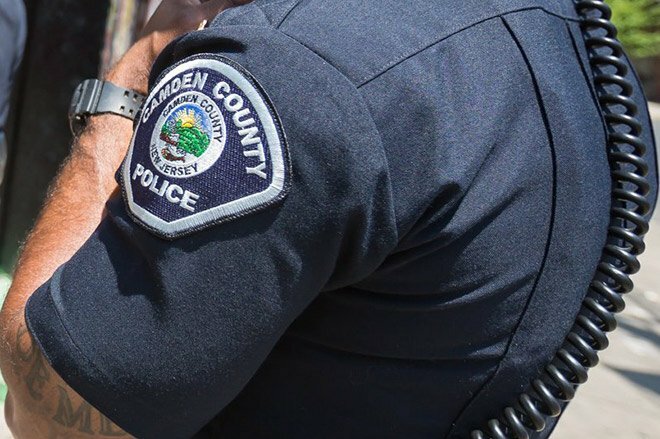 Camden County police immediately launched a kidnapping investigation. Officers and detectives were joined by personnel from the Camden County Prosecutor’s Office, New Jersey State Police, New Jersey Transit Police and Newark police. Detectives learned that Hill, after assuming care for the baby Friday night, had taken him to Newark using public transportation, authorities said. She was then determined to be on a southbound New Jersey Transit RiverLine train with the baby on Saturday afternoon. Hill and the boy were located by officers on the train at the Riverside station just after 12:30 p.m. The baby, found to be in good health, was returned to his family, police said. Hill was arrested and charged with Kidnapping and Child Endangerment, and remanded to the Camden County Jail. “We would like to thank all of the partner agencies that immediately responded helped ensure that this infant was located unharmed and safely returned to his family,” said Camden County Police Chief J. Scott Thomson.